News TV Channel / Europe by Satellite (EbS) is the TV information service of the European Union which consist of 2 TV channels: EbS and EbS+. It is managed by the European Commission however it broadcasts images coming from all EU Institutions like the European Parliament, the European Council, the European Central Bank, the Committee of the Regions, the European Court of Justice. EbS was launched in 1995 with the purpose of providing TV and radio stations with pictures and sounds coming from the EU, in all EU official languages. 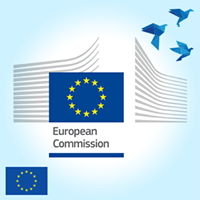 The programming consists of a mix of live events, stock shots, edited programmes and videoclips on EU subjects produced by various EU Institutions and Directorates.